OLD PARKED CARS. 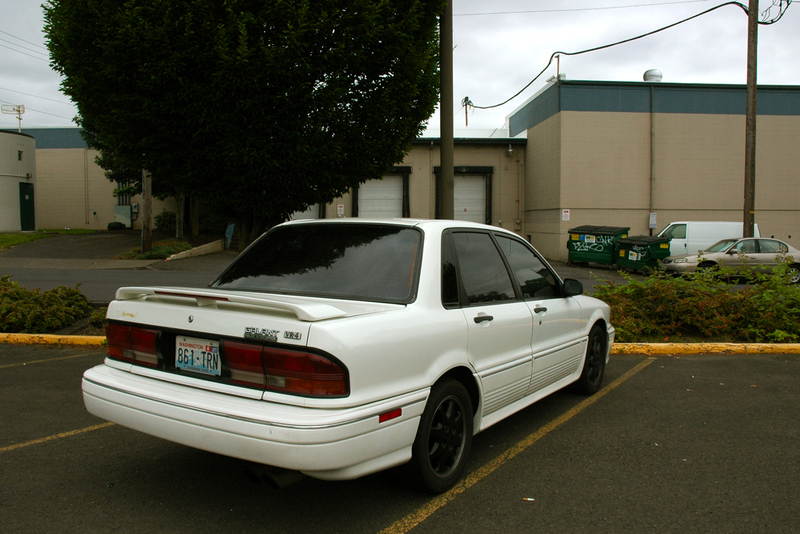 : 1991 Mitsubishi Galant VR-4. Simply beautiful! Where's this Mitsubishi nowadays? These are always forgotten, but are super cool. Definitely a (more) interesting alternative to an Evo. Though I doubt many people are cross shopping them. This one looks absolutely perfect, and nice and stock. screw cross-shopping. 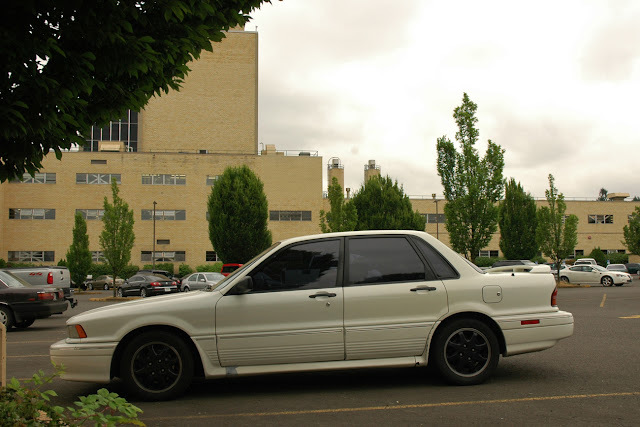 Evo guys tend to follow the same stereotype as SRT4 and Tiburon guys, but instead of working at McDonalds/Burger King they're a middle manager at some local insurance agency or tech firm. 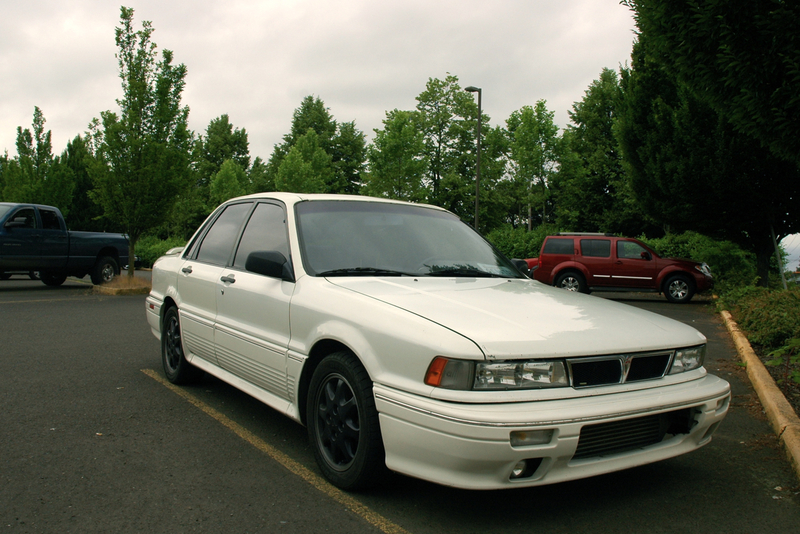 if someone had a properly built galant vr-4 i'd have more initial respect for them than an Evo driver. Anyone else tried to pitch one of these to the wife as a reasonable family sedan? It don't work.